,,,,,I know Your not Mateusz. But out of all of the images you had to pick, you choose one who looks similar to Mateusz. That is why I gave him the finish note and drawing. And its to the Point. Another point of logic I wanted to bring up. Lets say I have a car, and I wanted to know how good it actually was. So I find another car of the same make and model and compare it to what I started out with. My point is this, how can you make a comparison, when there is nothing to compare it too? There are too many long theorys. ......what do you want from me? I use to have nightmares about a non-existing room in high school. "Can't enter due to the English language." It was only recently I realize why the number 302. 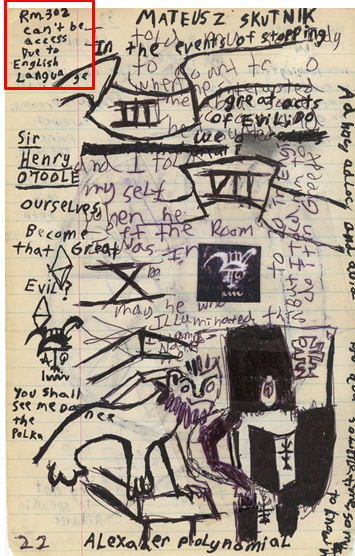 Room 101 in George Orwell 1984. The room that all men fear. Again, I'm press for time at the moment, but this theory is to simple give a "Timeline" to the Submachine Universe. I can't go into details yet, but I will work on it. Anyone can post their thought right now. I base this theory off of Einstein (Not the Cat) reason for time existence. But again, the whole world of the Submachine take place before the Big Bang. And the only Equal point of perspective to time within the Submachine is in the 8th layer. First of all, we always had trouble distinguish how much time has pass between each game, but then I realize, its only a chapter in a book. Like to say if we read a single chapter from a history book about the American Civil War, in comparison to The Great war. Now...understand there is actual evident as to why we (As the People of Earth) if we were to actually go there and view the history, it would happen all in the blink of an eye. But to the point of view to the People who are average humans, it happening as fast as we go through our life day to day. C. The Mayan Calender in 32 chambers is kinda calender, but in comparison to an actual instrument of time keeping, its an hour glass. You have to flip it upside down when the sand run out. But do understand this, when we play the Submachine Game, any or all of them, its only those point in time that we can actually view slower to our internal body clock with out it all going out in the blink of an eye. But also understand this, I use this simple as a comparison to something we would view. The bible say "God created the universe in seven days", now...not everything in seven days, but if we went all the way back to view the big bang while having a stop watch, it would last seven days until all of the masses and solids body of matter settle down after the initial explosion. But in comparison to say placing some explosive, and burying it under a pile of junk, and after detonation, the explosion will last between 1 to 2 seconds, then it takes an extra 4-5 seconds for each of the individual piece of junk to settle down. But the Explosion happens in the faction of a second. And the only way to make not happened in the blink of an eye is to slow down the video footage. I said that all of the Layers Timeline Run Parallel to each other. This is what I mean, I took the Wheel of Dharma And pasted 7 of them onto the Drawing. The idea is like any clockwork or series of gears, you turn one of them, the other follow, but only in an opposite motion to the one next to it. Unlike for say timeline of parallels universes of this earth, there are many more parallel universe than just 7 or 8. But my point is for example, lets say there is a parallel Earth, but the history or timeline is different to where say the Cold War ended, but it ended with World war 3, and all life on earth is dead. Or another parallel Universe of Earth has a different timeline where The Nazi win World War 2 and rule the earth. That beside the point. The idea of the 7 main layers of Reality is that each have their own timeline/history. But the history in one layer is actually repeated in another. It does not matter if the event was small and unnoticed, or big and remembered. But the Layers of Reality are not the same as the Mulitverse. The Layers of Reality are limited to 8 layers. The mulitverse is the idea of the multiple parallel universes that are created due to one thing in the history of of the universe went a different direction. For example like if Winston Churchill died during that accident before the World War 2 began, the Nazi Took over England, where say in this earth history Winston Churchill in our Timelines lived. But the Different Parallel universe are created time and time again cause one thing went differently due to a single event. But The Timeline/history of each of the Seven Main Reality may take place during a different point in time compared to another layer. Like the same thing as I am typing on this post at 10:40 pm, there is someone on the forum at the other end of the World who clock says 5:00 am. Murtaugh is coming back. We should go. The answer is rather Simple. He is Shiva. I know this quite well. I don't have any evident to support this, but I do have mythology on my side. And I have read many of volumes of Greek Mythology. To which I have a definition as to why the Existence of any ancient mythology exist to being with. An Excuses not to go to Science Class. An great example would be the magic trick that the The Great Sphinx of Giza use to do. It involves 3 things needed in order for it to work. The middle Pyramid Of Giza, The Sphinx of course, and the temple in front of it. Which is now long gone. The magic trick? It can't be done anymore. You would need the Temple that is in front of the Sphinx in order for it to work. And you can only see it on a certain day, when then sun sets in the west. Einstein is simply a cat that's mistaken by Murtaugh to have similar set of Karma abilities. The reason Einstein kept disappearing in front of Murtaugh because he was unknowingly switching between layers with the cat in tow. The cat was eventually taken back to the layer it originally belongs. No need to look deeply into this, despite your good intentions. hehehehe. Then again, its quite clear you didn't pay attestation, Like I said, I have Mythology on my side. I said I have mythology on my side. A: the Metal Box in the root at coordinates 1,2. It came back again. And B: In Sub 6, the Edge. How were we able to get that connection pod out? With the Help of "Thoth" or so to speak. Again...we never seen Einstein now, have we? We know that cat came from the First layer, but...do we know if he had counterparts in layer 2 though 7? When I mention the Spinx, it was for a reason. It can't be proved, but I seen it on an episode of Nova on PBS. When the sun would set in the west, the last of its light over the horizon would reflect more or less of the south side of the middle Pyramid of Giza. To which you can draw a strait line of that south side to follow along the side of the Spinx. The temple ruins in front, it i clear there was an opening to which alines with that same line I mention before. So...when the sun would set in the west, and on a certain time, on a certain day, it would create and light illusion of some sort in the temple in front of the Spinx. Sound familiar? The water Pantheon. Do tell me...does anyone know the Egyptian myth of Ra? Ra, is the Sun God. To which its a human body, with the head of an hawk, and wings on its arm. The Myth for Ra is that every day when the sun rise, and sets, its Ra. To which each day when the sun Rises from the east, Ra was born. At noon, he was in his "middle age" so to speak. And when the sun sets in the west, its Ra dying of old age. To which he is then "Reborn" the next day. I said I had mythology on my side. And I mean that. 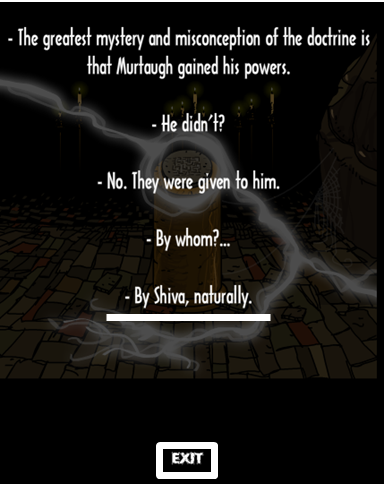 Cause...until Submachine 9 the Temple, we never knew that "Shiva" was a character. To which one could say he is simple a person such as the Theory in SNEE attach in the 32 Chambers about who "Thoth" is. This following Quote I know seems useless, and you are probably wonder why I even Post it to begin with. I simple quote the important Lyrics from the song. To explain why I say I have "Mythology" on my side. More to the point of the Artista point of view. Now....I know Shiva is Einstein, cause they mention him before. - retrieve three so-called "wisdom gems", lost in the subnet over the years. Those artifacts, engineered in the first sub-era by unknown manufacturer are the only approvable energy source for the machine situated in the corridor location. This location can be accessed by 7-4-7 code. - power up the machine. - investigate far side of the net. Granted this is simple the Submachine quoting this letter Murtaugh sent to someone else before the player from the main series existed. I know it was the Submachine that sent "That" note to the player. Cause...where is Murtaugh Signature? Plus the word "first sub-era"? Layer 1 anybody? I figure out what the "Movers" in the corridor is. When the Defense system was being built on the Edge, those were the original Movers. Kinda like the walkway built on a construction site. But...after the Defense System was completed, they simple replace the "Old" movers with the new modern self driven ones. So section one, at coordinates 747. How do we know there were not more than 1 maintenance carts? And...I know that first note was not meant for the player, it was meant for someone who went before him. The first guy on Murtaugh list anyway. When you visit coordinate 747 in SNEE, the mover is already gone. And it was Younger Elizabeth who was the player in SNEE. Implying that mythology backing up your evidence is actually speculations because I don't see you offering anything concrete that Einstein is actually Shiva. All I see is you laying out various historical facts with barely any connections between each other and that doesn't make your argument valid. And may I ask how they connect to Einstein as a Sphinx beside the Egyptian background? When I mention the Sphinx, it was for a reason. It can't be proved, but I seen it on an episode of Nova on PBS. When the sun would set in the west, the last of its light over the horizon would reflect more or less of the south side of the middle Pyramid of Giza. To which you can draw a strait line of that south side to follow along the side of the Spinx. The temple ruins in front, it i clear there was an opening to which alines with that same line I mention before. How did that connects to Einstein and everything that we learned about that cat in Submachine series? Also... where's Einstein originally came from? LAYER 1. Where's Water Pantheon located at? LAYER 5. The fact that the cat has nothing to do at all with the Water Pantheon and even the Temple aside from few notes there made your Einstein = Sphinx speculation a very weak case. NO, THEY DIDN'T. All the note named in its content is simply this: "unknown manufacturer." It would be a huge stretch to have Einstein, a rather normal cat that previously thought to harbor Karma abilities before revealing that it wasn't the case, to somehow manufacture Wisdom Gems filled to brim with Karma energy? Good luck with that. First Sub-Era is heavily implied to be the time when the Outer Rim of Subnet first starting to expand. The details on this is vague, but you can easily make this connection if you look at the notes of Sub_5 and Sub_7 about the brief history of Subnet. The word "era" refer to a time in history, not a spatial location/reality that is Layer 1 or any other Layers. Even so, all of your research here actually bolster the Submachine mythology, giving the series a lot of details than previously thought. You may want to be careful with how you connect the information with the series because while the amount of details you uncovered is rather impressive, they don't works well in this Einstein = Shiva theory of your. Einstein is simply a cat that's mistaken by Murtaugh to have similar set of Karma abilities. The reason Einstein kept disappearing in front of Murtaugh because he was unknowingly switching between layers with the cat in tow. oh, finally! I see the most simple explanation. I would give you the usall F - you, but I see you feel your better than other. So I instead leave you all with a more deserving goodbye. May Hades open the gates to the underworld to welcome you with open arms. And May you all be trap within the First Circle Of hell. You Think that was unnecessary? then again, it is reserved for opportunist. And I don't see any of you crossing the rive Styx anytime soon since you still more or less "Stuck" within one dimensionality. and the fact you all wasted you payment due to the Ferryman. If the next person post on here with another insult or swear towards me, do know I am armed with may insults derived from Shakespeare. And Don't go as far as to tell me the definition of Era. I know what it means. Such as the 1960s was an era, the 1980s an era of its own. I know what the word means. But do tell me...do we know how much time has pass? No...we do not. You all have your "Own" submachine timeline. 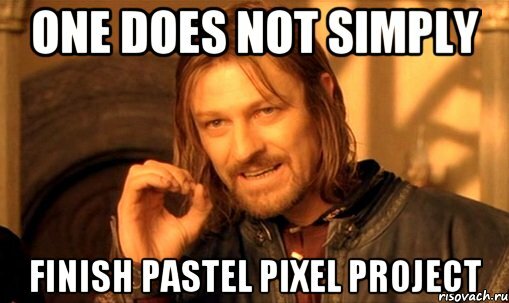 I recall one of the big debates in the old pastel forum was simple on "How much Time has pass". And again, between each Game of the main Series, between there creation and submission by Mateusz, do we know how much of Actual Time has pass? No....we do not. You may each view the passing of time between Submachine 1, 2, 3, 4, 5, 6, 7, 8, and 9 to be under a few seconds. But do you know that? At the end of Submachine 2 we thought we travel too far or too early. Then with the introduction of Submachine 9, the Temple, Mateusz did a spectacular intro to simple answer an age old submachine question. Yes we know what "Era" and "first" mean. But this is Mateusz own little world. His wording are that of knew definition on there own. Do tell me...do you know what "First Sub-Era" means? I could say that the first "Earth-Era" was the year 1900. But then one of you could claim it was Dec 25th. 0001. upon the transition of B.C. to A.D.
We could argue over the definition of "The First Earth-Era" till the cows come home. 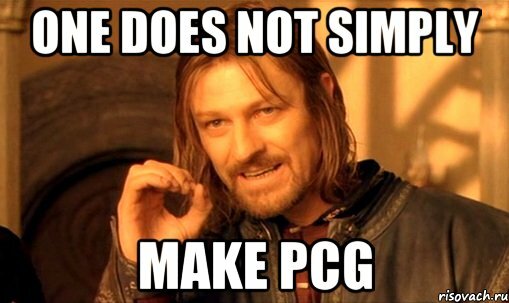 But that is not the point. The word "The First Sub-Era" is a mystery on its own definition. Sub-Era alone is vague, and First Sub-Era is even more vague. Cause do tell me, when we read that note in SUbmachine 5, the Root; how long ago is "The First Sub-Era"? And Again, I see it not as a concept of "When" but "Where". The whole history of both Murtaugh and Elizabeth has happened 2 times already. Murtaugh and Elizabeth History is the 3rd. And when I say "Has happened 2 times before", I mean those repeated events started in their own layer. The 1st time this history reoccurred was in layer 1. Then the second time was layer 2. And Murtaugh was originally from layer 3. And that quote from the bible, "What has happen before will happen again". I applauded Mateusz interpretation of that. The Genius in its Simplicity. 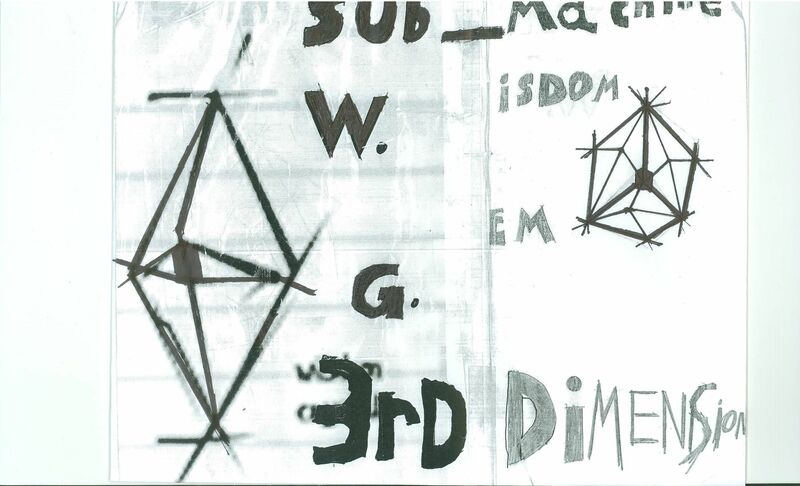 But at the end of Submachine 9, we needed 3 Wisdom Gems. And that gives even more genius within the simplicity. Its like a chines puzzle box. You can put 3 diamonds side by side of each other. The point of creating theory is to have critique on how valid it seems to be. So far, Einstein = Shiva theory is weak because the connections you made, while logical, is rather tame with several counter-points made against it. Heck, check out my Dimensional Pathway theory (coordinate 628). You can make claims that my theory may not holds up against all of revelations we have learned in Sub_7, 8, and 9. I have to admit that this is a rather good counterpoint against my argument about spacetime concept in Submachine Network, which has been heavily debated time and time again. Stick with that, you might be onto something here. Especially with the Wisdom Gems, although we have seen total of 4 so far in the series, 3 of them that we used time and time again. What happens to the one that we used to activate the Portal Gate in Sub_7? There are only 3 Wisdom Gems. The one from Submachine 7, is one of those gems. A: its called a Engergy Gem, not a wisdom Gem. lost in the subnet over the years. For starts its the same Wisdom Gem from the root at coordinates 1, 2. But its one that been around for awhile. Since it was called an "Energy Gem". That simple means its wisdom was ignor for a power sources. Like the Bagdad Battery. Its does not serve the same purpose of a Wisdom Gem per say, but its a good comparison to an actual object from this earth. My point being was this: When the Mover was confiscated, where did it go? And what of those Wisdom Gems? Zoom in on the desk near the cliff side, how many boxes are there? Three. The other wisdom Gems are in those boxes, but the boxes themselves are in another layer of reality of the Sanctuary Location. The one with the energy Gem we use was in a lock box and the key was left on the other side of the second shield. Same goes for the other keys in their own layer. Unlike Murtaugh when he had to get pass the equipment, he had to retrieve all 3 of the wisdom gems from their own layer of the sanctuary. Otherwise hes could not "Walk" through the portal and arrive back in the winter palace intact. Cause if he had only one of the gates repaired and powered by one energy Crystal, he could not walk through the Arch while leaving his other selves back at the sanctuary. And I know it is still possible to activate all 7 portal arches with only 3 Energy Crystals. We had to do the same thing in order to get the the 8th button for the navigator. Both the zeros and ones are Arch portal in their own layer. But the ones with the 1s are the one in their own layer with a slot for the Energy Gems. While the one with zeros are the arches in there own layer that don't need a Energy Gem to power them cause the 1s in their own layers are evenly spreading the power. You think the that puzzle was hard? The player only had to do it the one time, but lets remember he did not have the navigator yet, so he only had to cross the gate once. My point of this thread is to follow the same logic of the Black Dossier Thread. I don't care for a space in SNEE, each new update I've seen have only notes, not theories. The Black Dosser is a simple means of leaving my 'Bet" so to speak. 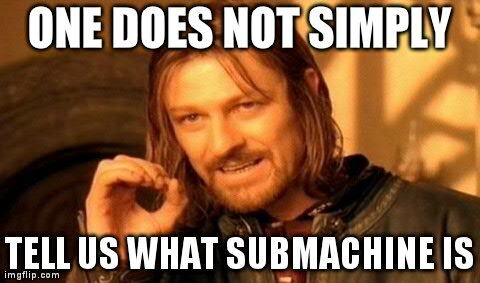 After Submachine 8 came out I said there was an 8th Layer. 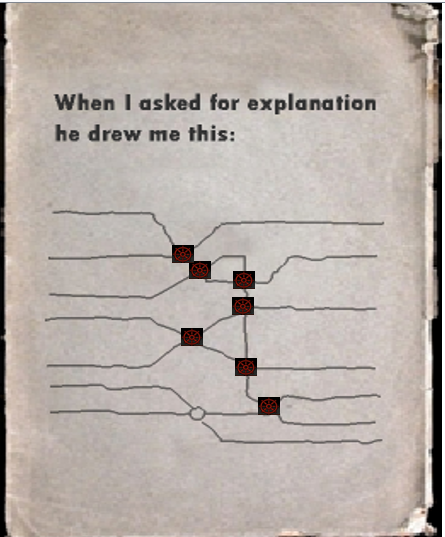 Simple due to the fact the drawing had 8 circles, and the navigator had 8 slots. Did anyone believe me? No...they simple follow the logic of "If I don't see it, it does not exist". Or a more fitting statement being "I'll see it when I believe it". And I made two theory base around that idea. They went down the drain as soon as Submachine 9 came out. But I was right. That was my point, simple cause we didn't see it does not mean its not there. And Despite Mateusz saying from time and again before Submachine 9 came out that there was "No 8th Layer" I simple choose not to believe him. Why? Cause his actions speak louder than words. And more upon the the fact he had that idea from the start. If he didn't, there would have been 7 circle on the drawing and 7 slots for the navigator. The Wisdom Gems function as energy source just as Energy Gem does, although there haven't been evidence that indicate Energy Gem is actually Wisdom Gem. Perhaps they're one and the same because their functionalities are extremely similar. Perhaps they're named differently because they were made in different Sub-Era? Something to ponder about. But what is OUR story and what is story of submachine? Well look at it this way, in Submachine 9 the temple, not only did we go as far back to the mover to get the Wisdom Gem still at a younger age, but we also went as far back in time right after we left the mover to the defense system one. Perhaps I should clarify what I meant since sometime I wasn't specific enough. We're probably never meant to learn what Submachine really is in term of its exact origin and purpose as an object in the series, but we're meant to learn about Submachine as a character with ongoing history, like what we're learning about history of Murtaugh, Elizabeth, and the people of Seven Layers that suffers from the Collapse. Our story is possibly to explore the history of human civilization's decay and rejuvenation in conjunction with Murtaugh's actions. We're also exploring the evolving relationships and dynamics between the humans and the Submachine, how they drifted away and possibly float back toward each other again from what we see in how Submachine reacts to humans (as mentioned in the notes from Sub_7 and Sub_9). Our story in this series is to learn their story. And yet, it is possible that we were already part of what happened through Sub_1 to 7 before reaching that Portal within Portal between Sub_7 and 8 and are learning the consequences of our part in the story. That's what I meant by our story because we are part of it, either by learning their story and/or being part of it. The one thing I still couldn't grasp my head around despite me understanding everything else in the series are "those who are trapped in the Eighth Layer." What are their part in the story? Like I said, the player in the main Series is making it through with exceptional skills. He/she would not have been able to do so if he/she just skip past everything. The Exit was there all along. Another idea is that there is an Exit to the real world, away from Submachine. And yet another idea is that there's no such as Exit. My idea is that there is an Exit... in a different sense. The Exit could refers to a programming jargon such as exit program or exit routine. It could also refers to Exit() function that terminates program execution and to return to operating system. It could fits within the Submachine series since some of environments in the series and Sub_Universe show hints of Submachine as one giant network of quantum computers. Ever read the Promethea Series by Allan Moore? Then do research on the topic. I'm press for time again, but I do have my final Proof that Einstein is Shiva, it has to connect with that person theory in SNEE with the broken clock. First of All, Einstein is a cat by both a combination of two points in history. B: Before Einstein came up with e=mc2, the field of Physics were "Coming to an End" or so to say cause it was base of Newtons Laws of Physics. Now...Some of those Popular and Powerful scientist let their personal pride get in the way and decided to resort to name calling. Or just call Einstein a Jew ( which he was) in atemptent to ruin his reputation. Now, Do understand, The Big Bang has not happened yet in the Submachine, but parts of the Future to come slips back into the Submachine. Again, Einstein is Shiva, but the actual physical body of a cat came from Schrödinger's cat think thought experiment. He of course wrote the paper to help support Einstein theory of Revolution. But the main point was him bringing up the problem he sees in the Copenhagen interpretation of quantum mechanics applied to everyday objects. Now...Shiva is Einstein, but Einstein was not "Born" yet until the 3rd Cycle some time after Murtuagh Birth. In some old cannibalistic Culture, the villager would find some of "Unique" something in their eyes. And would jump to the conclusion that person is a god trap in human form. Thus they think by eating them they release this fiction "God" from their flesh bound prison and eat them. My point is this, Einstein is Shiva. But the actual cat body did not exist until the 3rd "Cycle" I mention in my Black Dossier Theory. The cat was simple "Born" after the 3rd cycle started and the Empty box in SNEE simple "Appeared" out of nowhere. Again, Einstein was "Born" out of nowhere, but if we saw it. What we see is a 3 dimension cardboard box in a room that came out of nowhere, and a Cat pops his head out of the lid, and simple leave the box and goes about its "Cat" business.